The weather was still miserable for our last couple of days in the Lakes and we realised that, with only a few days til we were off to Iceland, we really needed to sort out the last major leg of our trip – the 6 weeks in the USA. So we holed up in a cosy B&B just a block back from the main street in Windermere. 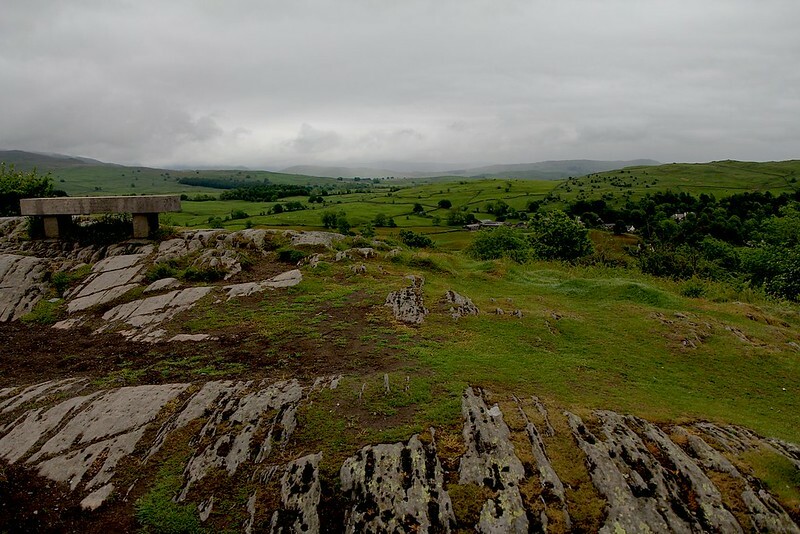 We did get out a little bit – we did a 5km walk from our place to Orrest Head, the first walk Alfred Wainwright (who is famous for promoting the Lake District as a walking destination) did in the area. It is a short walk uphill from the middle of Windermere to a hill top from which you can see almost the whole length of Lake Windermere and many rolling hills and patchworked fields. Photos do not do it justice at all. 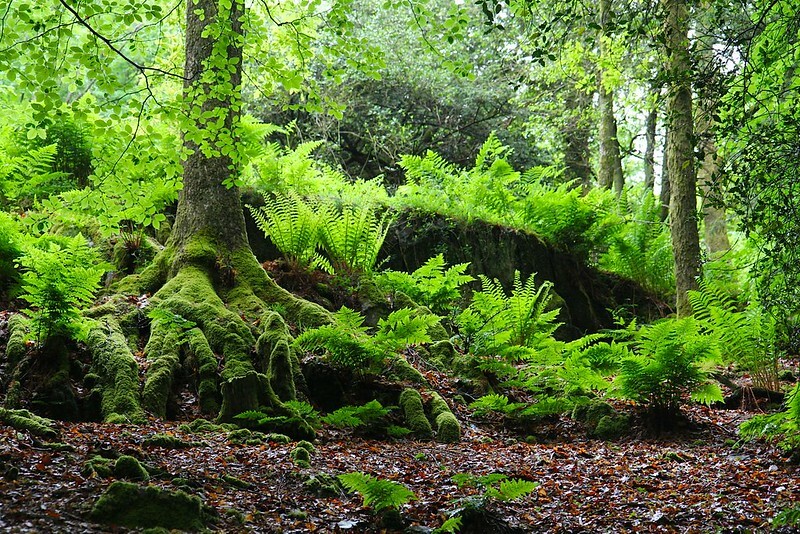 The path up the hill was gorgeous – all moss and gnarled tree trunks. We then walked down to the lake and along the bank, through a forest that looked very Robin-Hood-ish and back to the B&B. The rest of our stay was spent in bed working on our trip. Exciting stuff! I do feel better now that we’ve at least got our New York accommodation booked – and through Airbnb, for the first time. I’ve tried to book with them before but had difficulty finding places that are free for the dates we wanted, or just not hearing back from property owners. This time we’ve managed to score a room in Greenwich Village for $80 a night and sharing with a guy who gets great reviews as a host. We have also, coincidentally, planned our NY stay during Halloween and have been told that Greenwich is where the best action will be… fingers crossed! During our breakfasts at the B&B we met a lovely family from the US who gave us some great advice on visiting theme parks and their teenage daughter even offered to accompany Luke and I to Magic Mountain, which is right near their home, so Luke wouldn’t have to go on everything by himself – what with me being the world’s biggest chicken when it comes to any ride more energetic than a ferris wheel. Travel really does impress on you the generosity and kindness of people everywhere – it seems that everyone we meet has a word of advice or an offer or meeting up with us somewhere or a helping hand. I do hope that we have many opportunities to return all this good karma when we can. 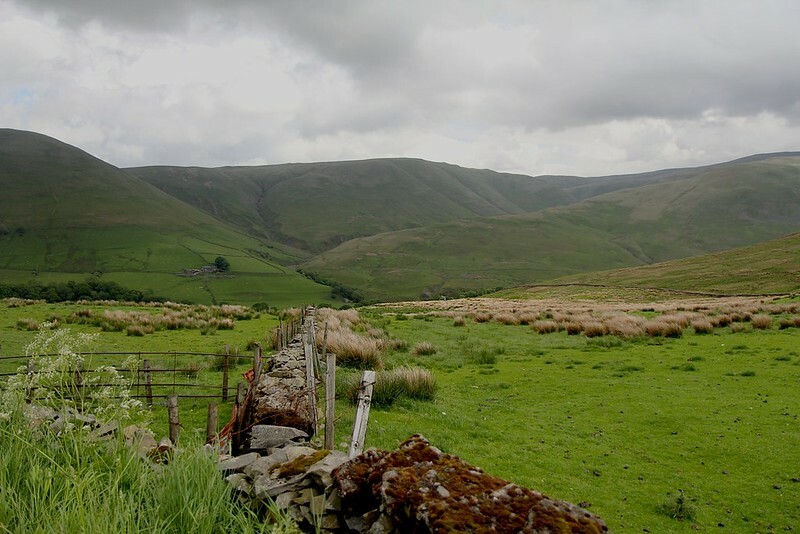 Howgill Fells, a view along our route when we left the Lakes. « Camping in the Lake District. pretty sure thats the same hill we walked up, I have a photo of me standing on that bench somewhere…. Yep, Amanda mentioned that at the time. Amazing view from up there! I’m thoroughly impressed that you’ve got your trip planned out and booked in so far in advance! How many months is it until you get to the USA? We arrive in NY on the 30th of October, then we have 6 weeks or so until we fly to NZ. We kind of planned it out but there’s still lots of gaps to fill in. Should be working on that now, actually!